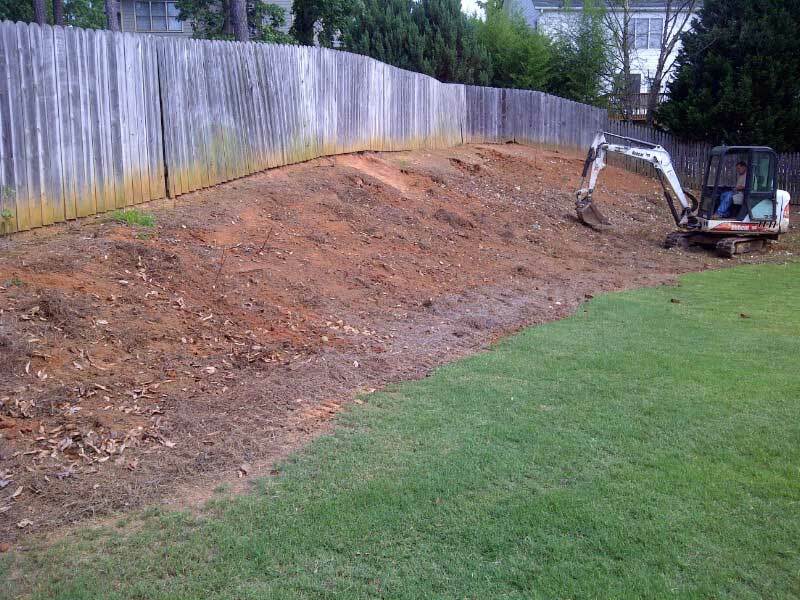 Case: Landscape had matured over several years and the increased shade has caused erosion problems. 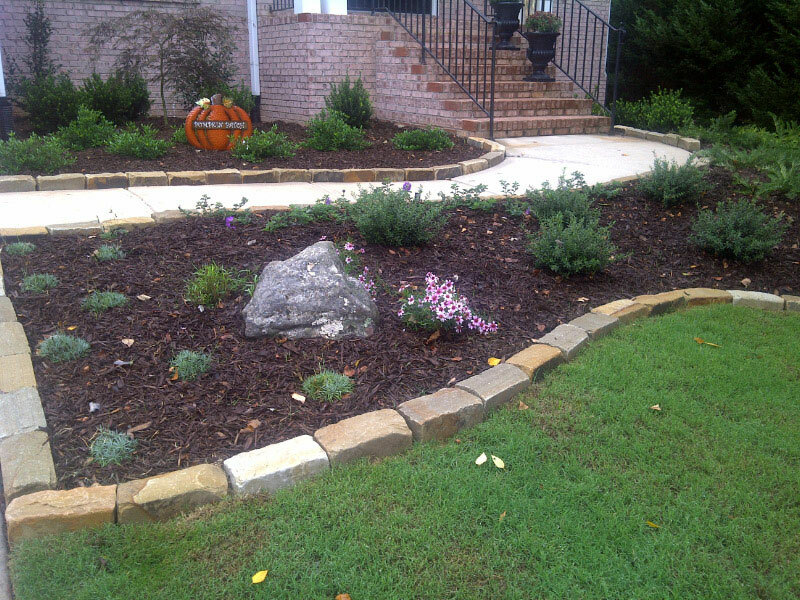 The home is the first is at the entrance and the homeowners wanted something that would stand out, be functional, and easy to maintain. 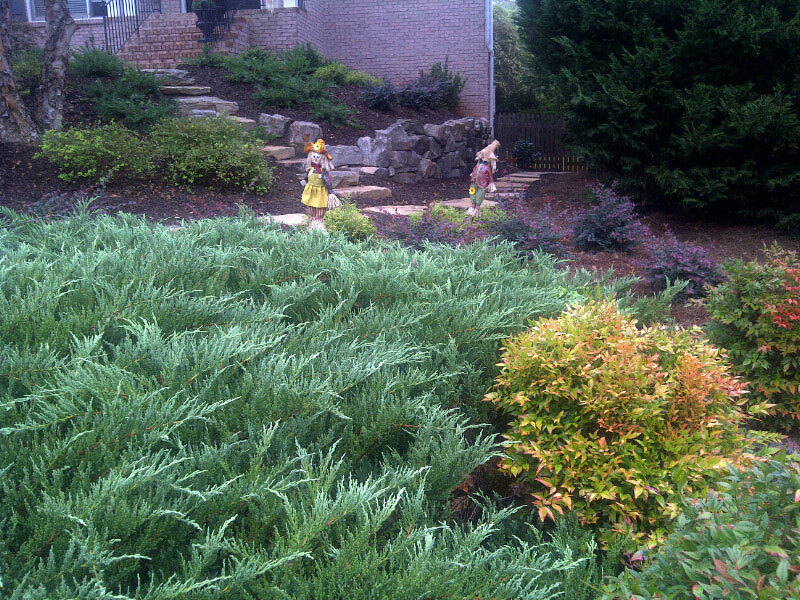 Many plants and flowers were stressed due to the ongoing drought. 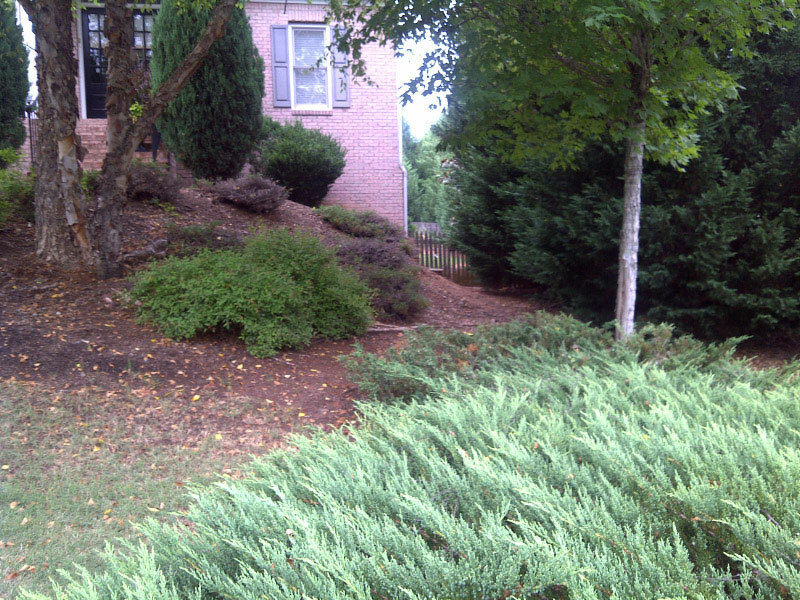 The backyard was also overgrown in several areas, had drainage issues, and did not serve the client’s needs. 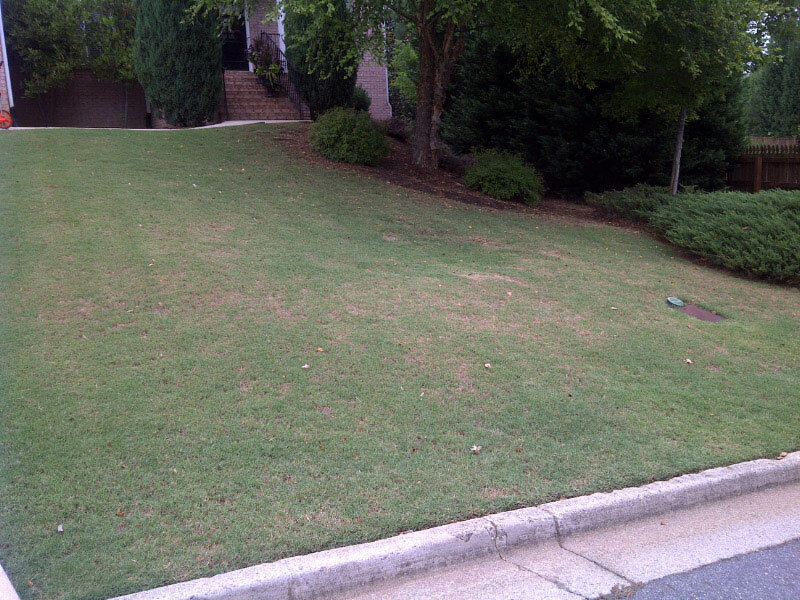 Solution: Create a landscape plan which could be implemented in phases. 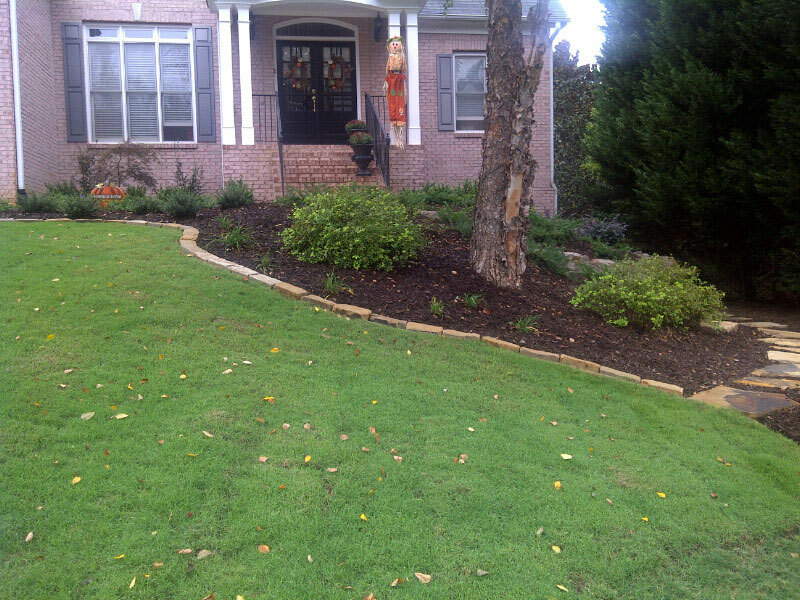 The first priority was to finish the front yard. 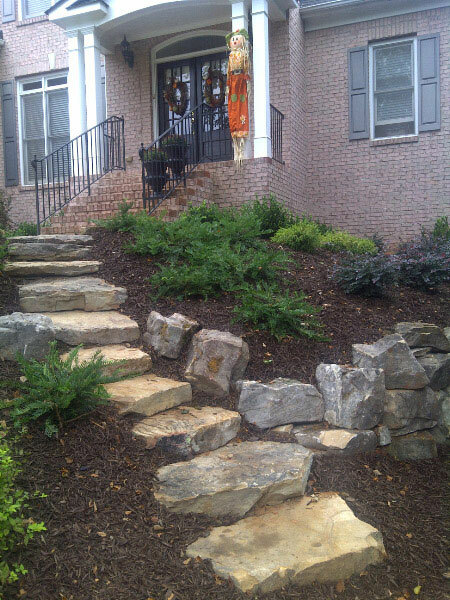 This involved building a natural stone wall with steps winding up the steep slope. 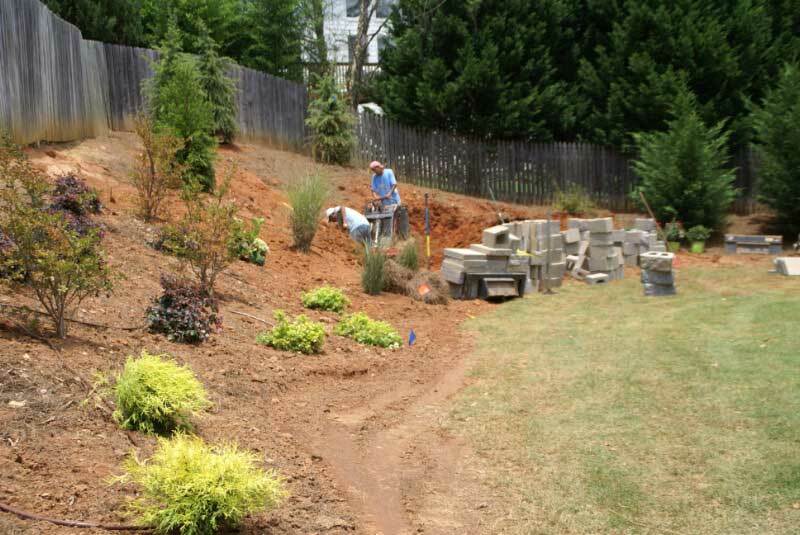 Irrigation was installed on the new Bermuda grass and drip irrigation in the beds. 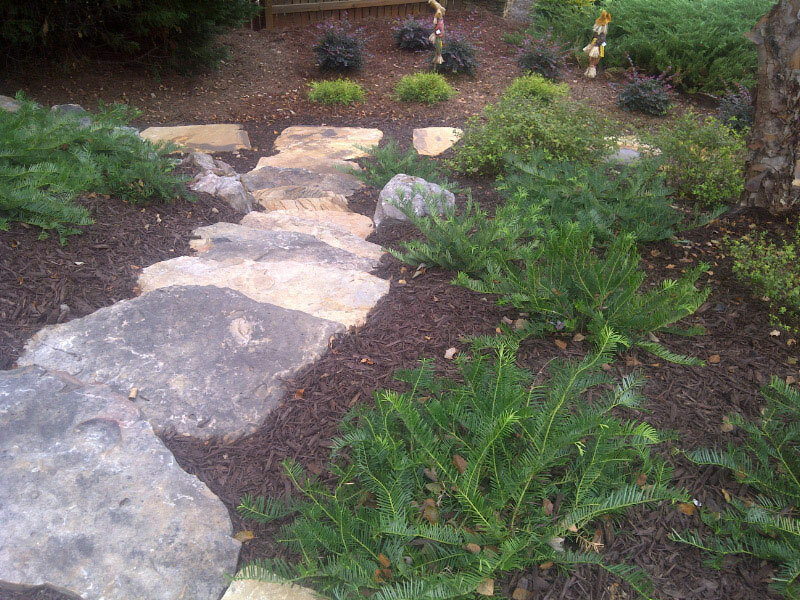 A variety of shade loving and sun tolerant plants were selectively placed in the proper areas. 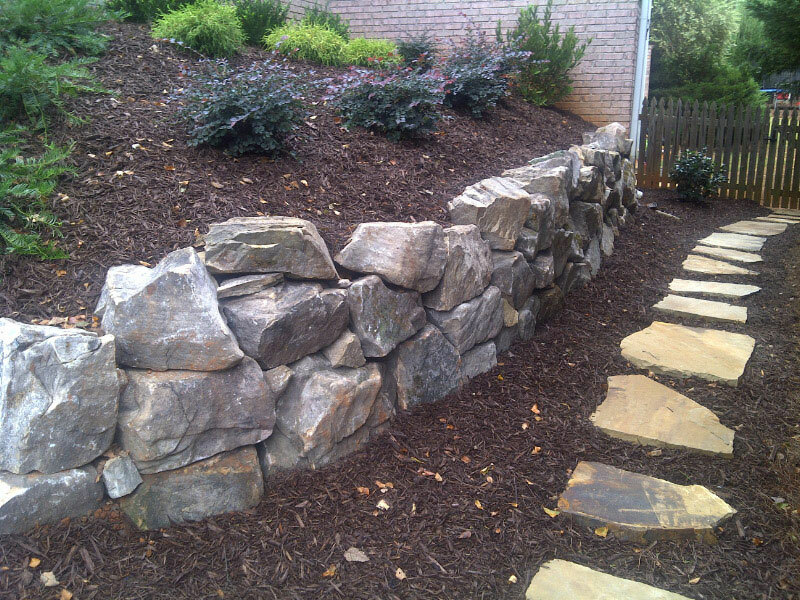 A finishing touch for the front was stone edging to define the bed lines. 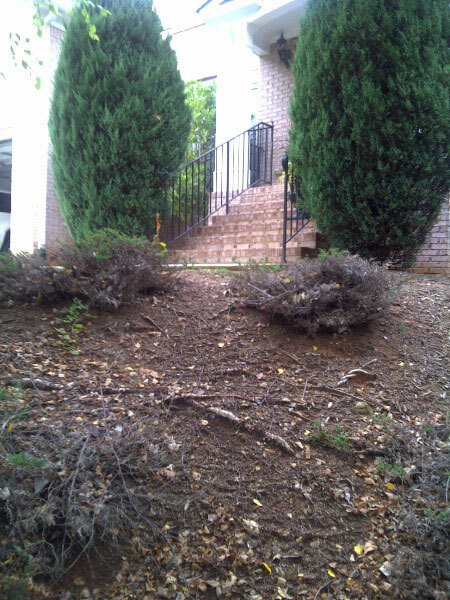 In the back yard the first steps of the renovation were corrective pruning and shrub removal along with adding sod. 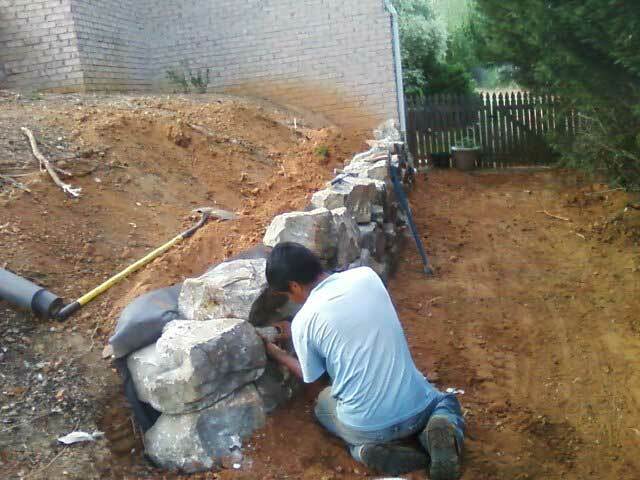 Future implementations of the landscape design are planned.